Zunino's Primavera Collection is a celebration of spring, youth and rebirth of life. Hand-crafted in fine terra-cotta, these pieces are sure to bring lasting beauty and unique touch to any corner of your home and garden. 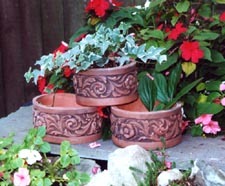 3Floral vine terra-cotta flower pots are individually hand crafted in round and oval shapes, and can be custom-made to your desired size. These unique pots will not only beautify your home or garden: they are also beneficial for the plants, as the qualities of terra-cotta prevent the soil from excessive dehydration. 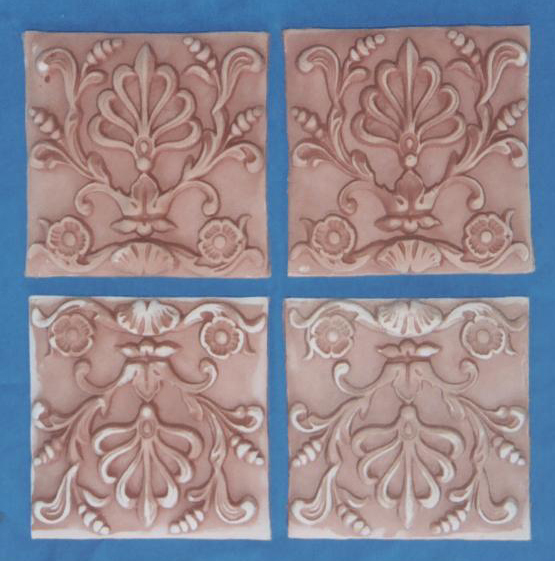 6Matching floral fragments are perfects for accenting any wall of corner in your home. In your garden, they can be used to re-create an archeological site in Pompeii or Paestum. All fragments are custom-made to desired size. 3Unfinished floral pattern tiles. Please note that the design is a bas-relief, so they are not recommended for use on the floor. Terra cotta.